Steiner is known for producing exceptionally light weight, tough and durable binoculars. Steiner binoculars utilize the latest in German optics technology to deliver the finest binocular lines in the world for hunters and adventure-seekers on land and sea. Steiner binoculars use fully multi-coated optics to assure optimal brightness. Steiner binoculars are classified as Safari Pro, Skyhawk, Wildlife, Marine, Commander, Navigator and Discovery. Steiner's roof-prism binoculars and top porro prism binoculars offer exceptional brightness and resolution. Fast, smooth and precise center focusing with 6’ close focus. 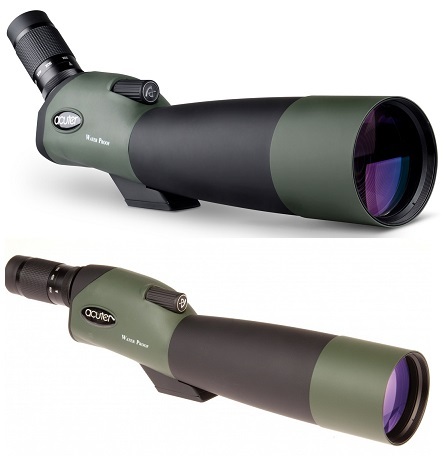 Steiner Wildlife XP binoculars give just a bit more light gathering while staying under 850g. Fluorite glass, wide field of view, and a 6' close focus make these a natural for birders and naturalists. Steiner Commander, Marine and Navigator binoculars are a diverse series of porro prism binoculars intended for use at sea. All are heavily armored to be durable, shock-proof, fog-proof, waterproof, binoculars. All are 7x magnification; some models feature a built-in compass. Steiner Safari Ultrasharp binoculars are a diverse series of mid-sized porros and compact and full-sized roofs. All are super lightweight and feature angled eyecups. Marine binoculars face tough conditions because of the chance of submersion in water, or moisture getting trapped inside. Since Steiner makes waterproof and durable marine binoculars, that's why they are considered the worlds best binoculars for water sports. They are with or without compass. Steiner Discovery 8x44 is perfect companion for short trips or long tours. With the new soft grips, the twist-up eyecups and the special Fast-Close-Focus, the Discovery 8x44 combines benefits for perfect handling.